Arif Lohar Punjab Folk Music Singer. He was born on small village called Aach Goch in District Gujrat, Panjab Pakistan in 1966. He is most popular Pakistani Punjabi Folk Music, Classical Music Artist. He sung lot of great songs in different languages. Arif Lohar is great singer of Pakistan he sung lot of great Punjabi songs such as Arif Lohar Jugni. He is most popular Pakistani Music Artist. He usually sings with native Musical Instrument resembling tongs called a "Chimta". His Punjab Folk Music is representative of Traditional Folk heritage of the Punjab. 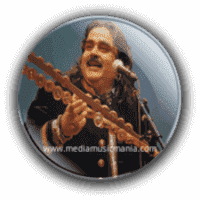 Arif Lohar is very great Artist of Pakistan and he sung Punjabi Sufi Music in his Father's singing style. He is most popular artist of Punjab, he sung lot of great Jugni Music in different styles and lot of popular Arif Lohar Songs. He performed well in foreign countries and he got lot of awards.He has sung lot of great songs in Pakistan Film Industry and also he is good actor in Lollywood. Her singing style is more like in Punjab and Pakistan. He is most famous Artist on Pakistan Television. He was very popular in Punjabi Cultural Songs. He created great name in Pakistan Music. Arif Lohar sung poetry of great Pakistan poets, he sung in different languages and also he has sung in Pakistan Film Industry and he is best Actor he is awarded Pride of Performance in 2005 from Government of Pakistan the highest civil award in Pakistan. He is the son of great Folk Music Singer Alam Lohar. He started singing to explore the folk singing of Punjab, and to keep the tradition of his father alive.